Health cure for smokers: Clean and detoxicate your pulmonary tissue - natur-apothekes Webseite! Mixture of herbal substances: Rosmarinus officialis (200 mg), Scutellaria officialis (120 mg), Momoardica biacalensis (120 mg), Chrysanthemum spp (130 mg), Morbus alba (72 mg), Malitol. 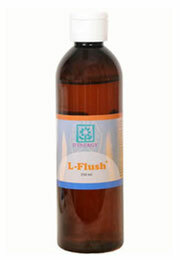 Product properties: L-Flush cleans and detoxicates the pulmonary tissue, supports the exchange of material among blood and tissue, is a strong antioxidant for the pulmonary tissue and disposes heavy metals and environmental pollution of the tissue. Smoking increases the risk to fall ill with cancer. In the tobacco smoke are round about 40 cancer-causing or cancer-influencing substances. Smoking reduces the natural killer cells, that the immune system uses against cancer cells. 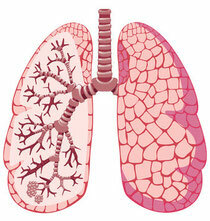 All organs, that are in close contact with cigarette smoke and their ingredients, are in danger of cancer. Especially areas of the upper respiratory system are concerned like lungs, oral cavity, tongue, throat, larynx, esophagus, airways and bronchia. The solution: Cleans and detoxicates your pulmonary tissue with the help of effective cleaning herbal substances, so that your cell system is able to remove harmful substances and your immune system can be reactivated. Breathe again deeply and improve your well-being.